The small rooms to the south are either filled with more office equipment or are empty. 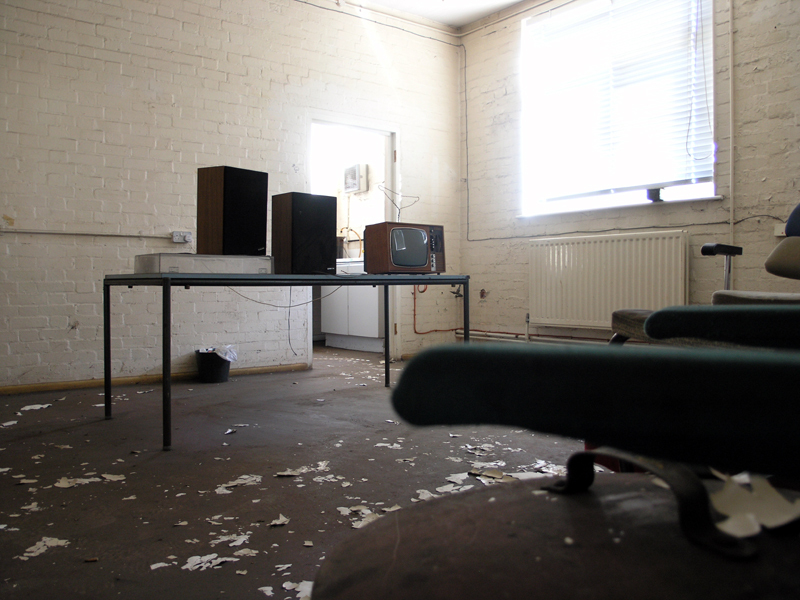 One of the rooms appears to be a small rest room with sofas, chairs, stereo equipment and a television – with hastily improvised aerial. A kitchen equipped with a first aid kit leads off to the east. One of the offices to the south of the New Fitting Shop looking south-east.